I used to have panic attacks during tornado warnings. After going through a pretty traumatic experience during the Tuscaloosa tornado in 2011, fear of storms would sometimes disable me from functioning. God has worked on my heart over the years and after having a family, I can handle the storm in the heat of the moment but as soon as I know my family is safe, then all the feelings hit me. I am thankful for the progress but I hate showing weakness and wish it would just go away. I am pretty tired. The last couple of weeks are finally catching up to me and with no real end in sight, there’s some weight and anxiety that I need to hand over to the Lord. Just like my fear of storms, I have adapted to pushing through difficult times and handling them rather well as they are going on, only to come crashing down when the dust settles and I feel like I have done my duty as a leader. I will always regret not going to see her play, I just thought I had more time. A good reminder that life is short and we have to make time for things that matter. The service was incredibly uplifting and was nearly all a continuous song celebrating Lois’s life. They didn’t shy away from the fact that she was homeless, it was even printed in the program. Her church loved her and did the best they could for her. I was a little shocked with the ladies started pulling tambourines out of their purses, and I know Lois would have laughed if I told her that we didn’t do that in my hands-in-the-pocket church growing up. There was part of the service where people could get up and talk for a couple minutes and it was so awesome to hear more about her life. Her family called her “Plum” and told of her adventurous and kind spirit. We sure miss her. 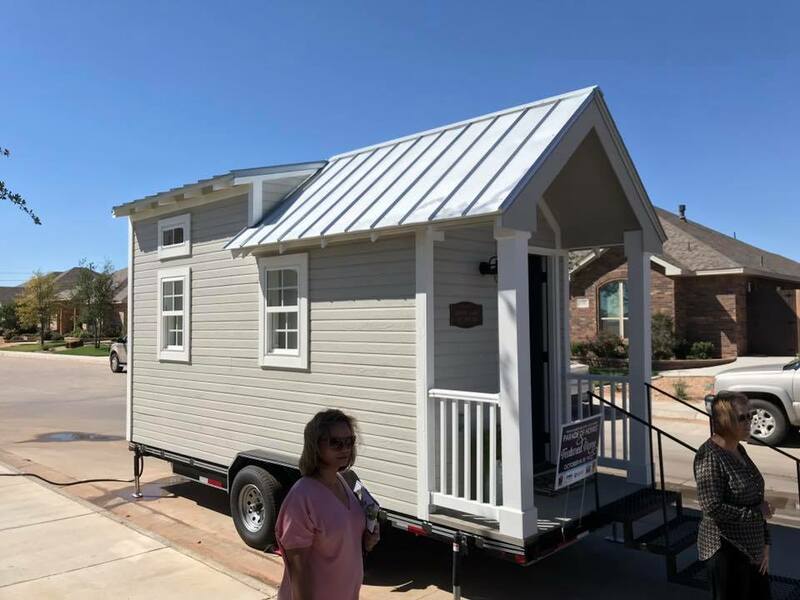 After giving my condolences to her family I rushed to the tiny house model for the start of the Parade of Homes. I didn’t have a chance to change clothes from the funeral so I was in a suit out in the heat until some friends showed up and gave me a little time to go change. The first day there were approximately 600 that came through the house and the next day was about the same. We will be showing it from 6pm-8pm Thursday the 18th and Friday 19th and from 1pm-6pm on Saturday the 20th and Sunday the 21st. It is so awesome! Come see it! Most of the responses from people walking through the house were positive. There were only a few negative things said about our mission. God brought me to understanding from a place of ignorance to the plight of the homeless, which by His grace enables me to be patient with others who don’t understand (yet). Overall it was a very positive experience, just exhausting. Briana and our son Titus are doing very well and Truma is adjusting to being a big sister. We have finally fully moved in to our new tiny house and have (almost) all functional appliances. I am still working to get everything out of the RV and get it sold but right now I am happy that my family has a place to call home. The land situation for The Field’s Edge continues to progress. We are working on getting a survey done of our property and developing drawings for the City and other governing bodies. Turns out that the road we are proposing to the county is already partially planned and approved as a city street which is a great help to us. God continues to bring all the pieces together and it is so amazing to watch.